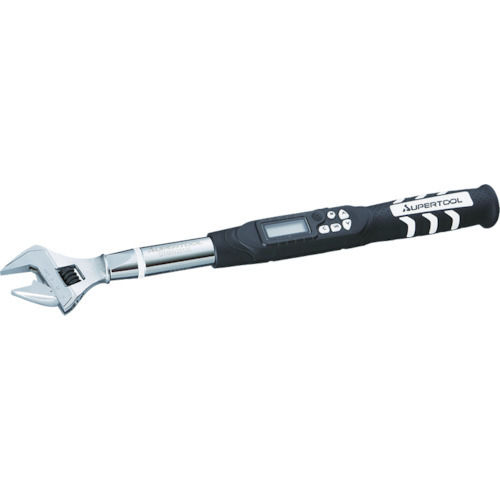 ●It is most suitable for the clamping work that a socket wrench cannot use. It is available for normal clamping work. ●A モンキヘッド part: Even if size changes, I adopt the special shape that almost none of the center positions of the bolt nut turns into (I can keep = torque precision). ●It is up to 250 memory. ●The number of the setting torque: It is nine cases. ●A news function is with it by a light / sound. ●A revision function at the time of the head exchange (use of ratchet head sold separately) is with it. ●Torque adjustment is within a range (N m): () number is the measurable minimum. The guarantee precision becomes not intended. ※Torque adjustment is within a range (N m): () number is the measurable minimum. The guarantee precision becomes not intended.